Hey, sweet friends! Last week I was so excited to finally be able to share our “before and after” home tour, taking you though each room of the house and comparing what it looked like when we moved in to what it looks like today. It was quite the transformation! If you took the tour, you may have noticed that I like gray paint just a little bit– it is in almost every room of my house! Since I have a lot of experience when it comes to trying out different grays, I thought I’d share my 5 favorite gray paint colors with you in case you’re looking for the perfect shade for your own home! Disclosure: Though Behr provided paint for some of the spaces in my home at different points over the years, this post is not sponsored by them in any way. I just really love their paint! It’s a good thing I really like Gray Shimmer because a large portion of our house is painted this shade! Our main living area– which includes the dining room, living room, and the Cs’ toy space– and our stairwells and upstairs hallway are all that color. To me it feels very light, airy, and soothing, which I love. It is a slightly bluer gray and can have more or less of a blue tint depending on the lighting and time of day. Curio is a close cousin of Gray Shimmer, but the undertone is more greenish rather than blueish, though the green is not super pronounced. We chose Curio for our kitchen and entry since I knew I would be doing a lot of green and aqua accents, and I think it helps the space flow well and plays nicely off of the white cabinets in the kitchen. 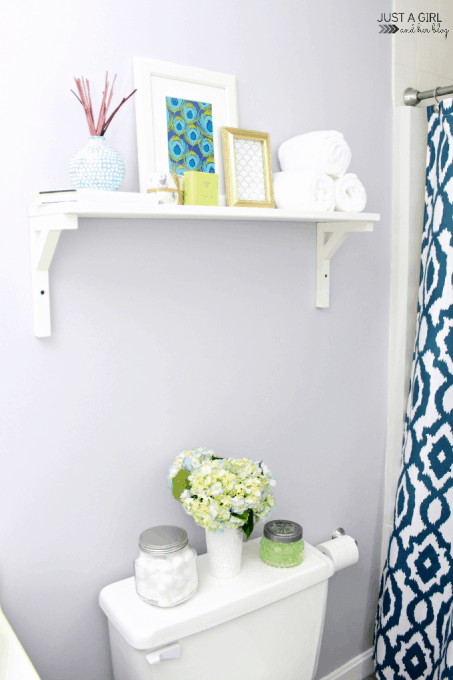 We used Dreamscape Gray in our little guest bathroom, and I absolutely love it for a small space because it is a “moodier” gray. It’s darker than the previous two options, but still light enough that the room feels bright rather than cave-like. 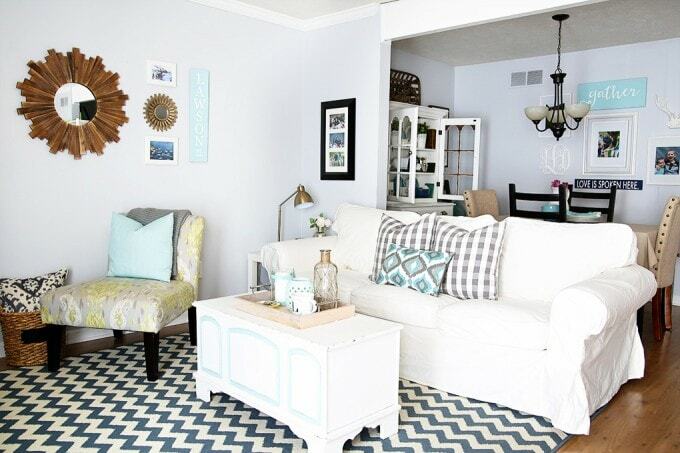 It also is in the blue-gray family, which I tend to lean toward since most of my rooms incorporate blue into the decor! Gentle Rain is the first gray paint color we brought into our home, and it covers the walls in my fabulously feminine home office. I would say that is a fairly true gray (though if I had to choose, I would say it is barely over the line on the blue side as opposed to green or yellow or pink undertones), and it has been the perfect neutral backdrop for my favorite space in our whole house. My absolute favorite gray in our home is definitely Silver City, which we have in our master bedroom and bathroom and in our powder room as well. It, too, is a more true gray, though it is slightly darker than Gentle Rain. It’s dark enough that it really adds some definition to the space, but light enough to keep that light, airy look that I love. If I had to choose a “perfect” gray, Silver City would be it. Okay, I know I said 5, but I just had to mention Iron Mountain too. I’ve never used it on a wall as it would probably be a tad dark for me, but I love, love, LOVE it for furniture. 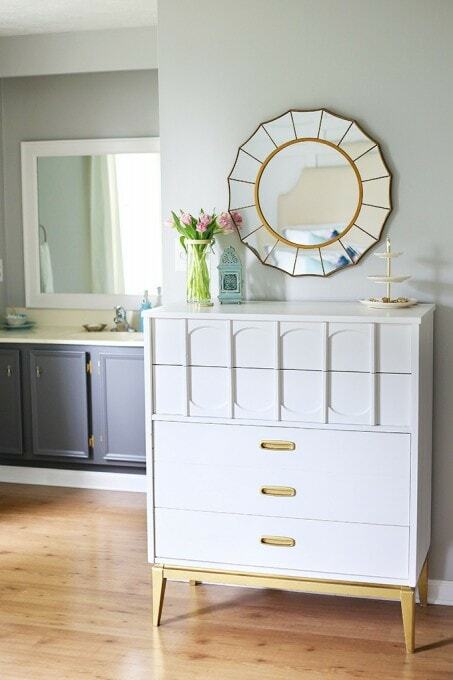 I originally painted the piece shown above for my sister in this shade, and I loved it so much that I used it on our master bathroom vanity and kitchen sideboard as well. So those are my favorites! I know that grays can be tricky to sort out, but hopefully this post can give you a good starting point so you don’t have to try out hundreds and hundreds of samples to search for the perfect shade! Do you have any favorite gray paint colors? Tell me in the comments so I can try them out too! 🙂 Have a wonderful week, friends! do you know of any grays that work with oak trim? Every time I see gray paint I see white trim, just wondering if you knew of any warmer grays we could work with. 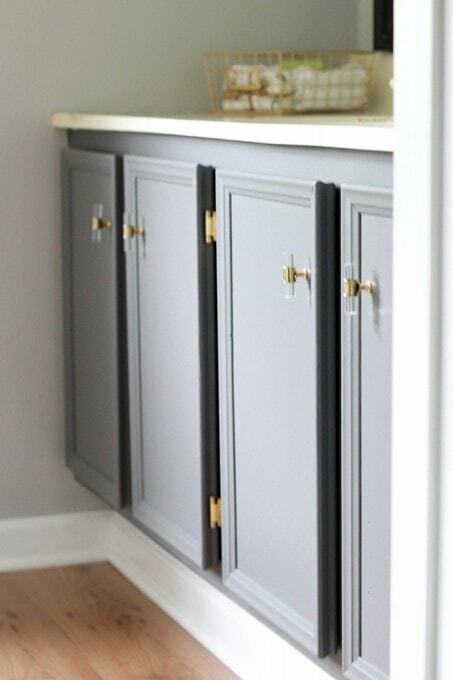 I haven’t done it, but it is certainly possible to use gray with oak trim! 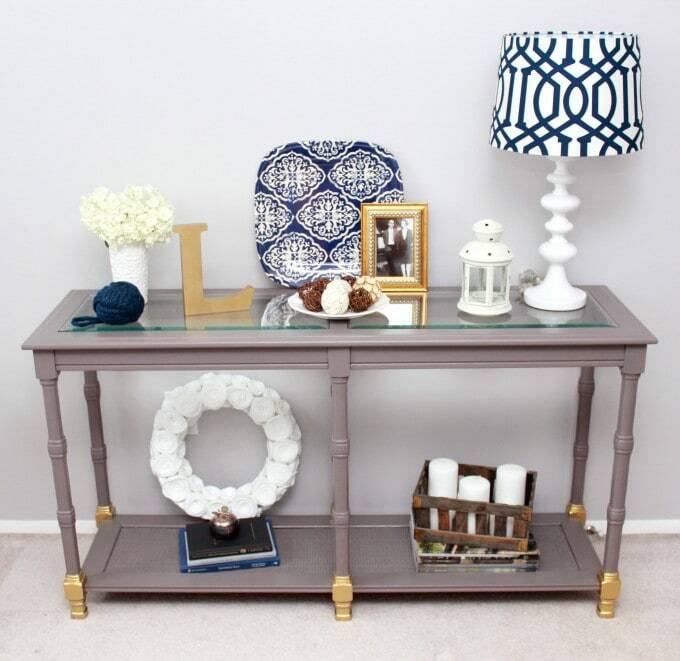 Search for it on Pinterest– there are tons of examples and color recommendations! 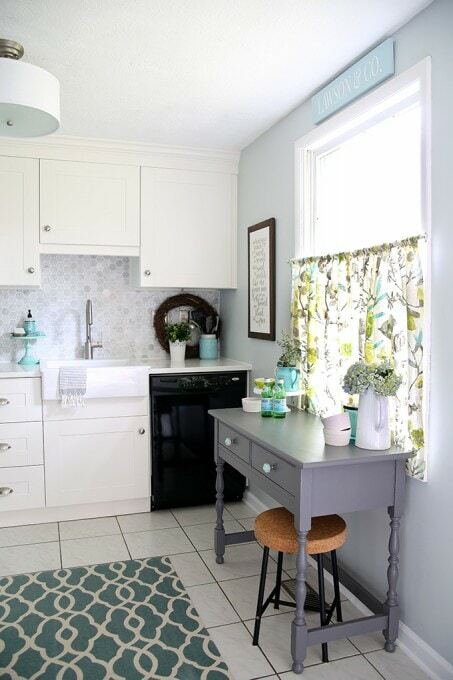 We are absolutely OBSESSED with Valspar’s “Tempered Gray”. It’s the most perfect shade of true light gray that doesn’t vary coloring based on sunlight. 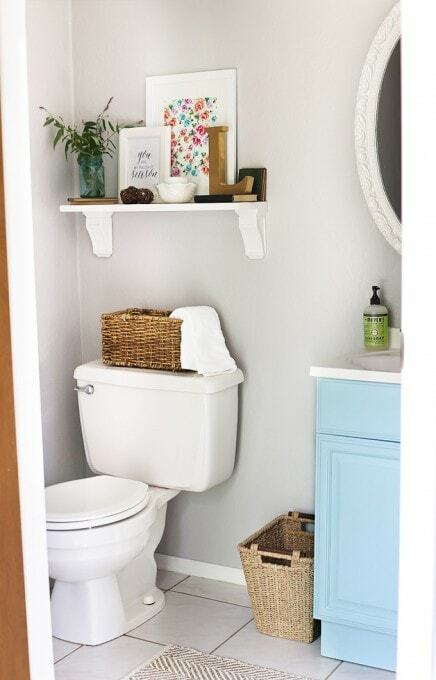 We have it in one bathroom and one bedroom so far, but truthfully I would have painted my entire 3200 sq ft house with it if I would have discovered it earlier. It’s that perfect!! After 10 sample paints, I took your advice on tempered gray. Perfect!!! Absolutely Perfect! Thank you so much!!! Hi, Glenda! Sounds like you’re about to tackle a big project! It’s hard to know without seeing your kitchen and actual color swatches how everything will blend, but I have seen red and aqua look really pretty together. I would look on Pinterest for country kitchens and red/aqua kitchens and gather inspiration from there to make your own design choices– I always think it’s easier to visualize with concrete examples! I hope this helps! Happy decorating! Great post and I love gray as well! We painted my son’s room Benjamin Moore Beacon Gray and my daughter’s room Benjamin Moore Bunny Gray. Both really gentle and calming… Great for babies’ rooms!! 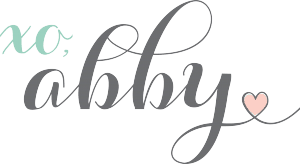 Abby- First of all, THANK YOU.for your dedication to and passion for helping others start and succeed at blogging. I am a mom of five. I’ve been a stay-at-home mom since my oldest was born (sounds better than 27 yrs as this next bday I’ll be 50-yikes!). We recently purchased a fixer-upper home, have two in college and another who just got engaged (yay! Except I’m quickly discovering a $10k budget may not be enough -can I ask my family to come but not eat?) :). On my knees I went before God. For weeks now with the same request -SOS!! And I kept laughing at the direction I kept feeling Him nudging me to go (i.e., he keeps putting you and your posts in my path)…..start a blog. Ya see, I’m not tech-savvy. I have a FB page about our home improvement projects and not even my mom or sister follow it. Ya hear my excuses…. And then y’all keep making seem simple enough that even I could do this. I am soaking this all in. All of it. As once I just have 1 at home come Aug (right now I have 3), I have decided I’ll take this leap of faith and jump into the blogging world – trusting God to continue to give me what I need when I need it…..direction, advice, followers, provision for more chairs & cupcakes at the wedding, etc..
Whew- that was a lot. Sry. Just wanted you to know my silence didn’t mean your words were falling on deaf ears. Thanks for the inspiration and advice!! Thank you for your sweet comment, Moriah! I’m so excited for you that you’ve decided to start a blog! It’s not a “get rich quick” type of thing by any stretch of the imagination, but if people keep learning and working hard, big things are totally possible! Can’t wait to see what you do with your site! We are currently re-doing our one bathroom…..carrerra marble vaniy is the inspiration with chrome fixtures. Next week….painting time…..we have chosen pale grey….American White. .Benjamin Moore for the walls and the trim will be Chantilly Lace..again Benjamin Moore…..very excited for outcome. I look forward to connecting with you on Tuesday!!!! Can you post a photo of how American white and Chantilly lace came out together? I am considering that exact pair of colors for my foyer and kitchen. I honestly wouldn’t think of grey as a go to paint color off the top of my head, but these really look fabulous! This post came at the perfect time! I am struggling to pick just the right gray for my master bathroom and bedroom. I am anxious to try one of these! Thank you! I am glad to see that I am not the only one with a grey obsession!!! Our kitchen, dining room, and family room are all painted in Valspar’s Notre Dame Grey, It is on the blue side of grey and plays well with our new kitchen counters!! I went darker in the master bedroom with Colorplace (that was a spur of the moment painting decision and Walmart was close) Finished Fired Steel, it also has a blue undertone. I made myself paint the office and guest room a different color because I thought I was being to grey obsessesed, lol!! I think I will go back and redo them in grey too!!! It is the perfect neutral. I love gray, but I never felt like it was the right choice for my walls. Gratefully I read this article on Houzz, and found out that I am more of a beige person. https://www.houzz.com/ideabooks/58129904/list/whats-your-neutral-beige-or-gray. I learned from the article that most people lean gray or beige. I assume that is because one is generally more warm and one is cool. However, I just moved to a new home, and I wanted to use a lot of gray accents and I wanted to the walls to work with that, so I looked for a warm gray beige. The color I ended up using is called Edgecomb Gray. I think it is a Benjamin Moore color, but it could be Pittsburg. Joanna Gaines used Revere Pewter in one of her homes, and it is found on the same card, just darker. (The guy at the paint store said tons of people have been using the Revere Pewter lately.) We painted our whole first floor in Edgecomb Gray, and I love it. Not to dark or too light, just “greige” It looks great with our stark white craftsman trim, our gray table, accents, and furniture all around the house. We also painted our front door gray, but I looked for a gray that had a lot of red in it because the brick on the house has a lot of that. I went with Dover Gray from Benjamin Moore. Wish I could post some pics for everyone. I love your house, Abby! Thanks for the ideas and info. Hey Abby! I love all of those grays and that is exactly what I would want in my home! So… here’s the issue I’m having. We are closing on a house in May that was built in the 70’s. The guy who sold it did some remodeling already and he put in brand new tile floors. It’s the tile that looks like wood, except it’s like a washed grey color. I don’t mind them and we definitely won’t change them anytime soon… So now with grey floors… What color do I put on my walls?? I come to you because I love your design style and taste… Any thoughts? Ooh that would be tricky! I would make sure there was some contrast, so if the floors are pretty light, I would go a little darker on the walls. If the floors are darker, go lighter on the walls. I am also loving white as a neutral these days. Behr Marquee Cameo White is one that is a little warmer and doesn’t feel cold and stark in the room. 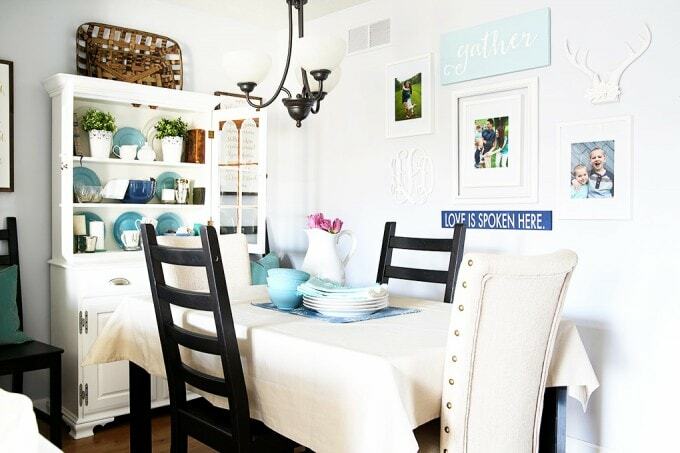 Also my friend Chelsea at Making Home Base just put Behr Crisp Linen on her walls and it looks lovely. (https://www.makinghomebase.com/from-bold-to-neutral-painting-our-living-areas/) I hope this helps! I can’t wait to see what you choose! I also think gray color is perfect color for home to give a amazing & awesome look, as you have done for your home with Gray color. I do see you have used gray color for part of home & all parts of home looking very beautiful with Gray. I am totally pinning this post. I’ve had the same colors in my home for quite some time and am getting the itch to update some rooms. I tend to have colors in the walls, but am falling in love with the grey wall and pops of color options that I’m seeing on the internet! 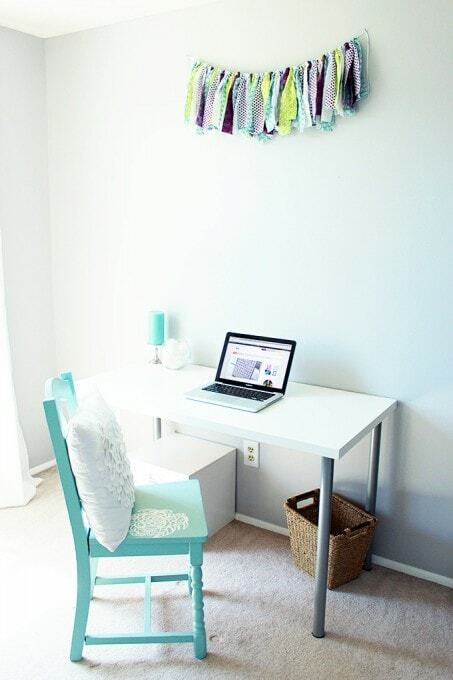 Thanks for sharing your colors – I always love how clean and fresh your rooms look! I love your gray paint colors. About 20-25 years ago I had painted my living and dining rooms ( they were L shaped ) a ghost gray from Home Depot. They mixed the color for me. With the white woodwork,any other color I used in the rooms made them pop out. It was wonderful. And I think a big selling point when we moved. So I am a big fan of the gray color. 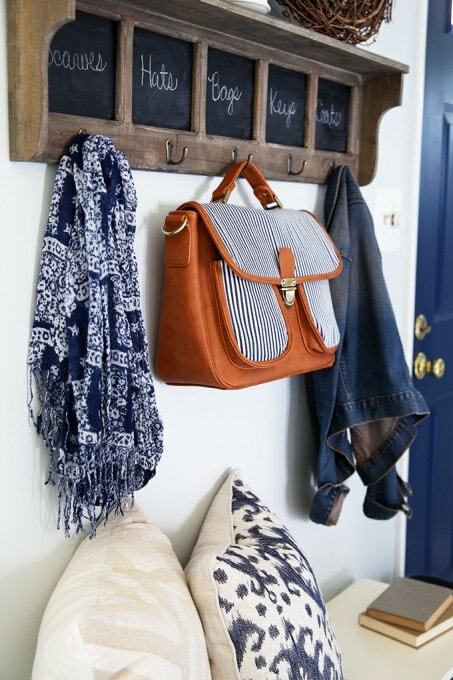 Love your home decorating too. hi! I really like your kitchen! 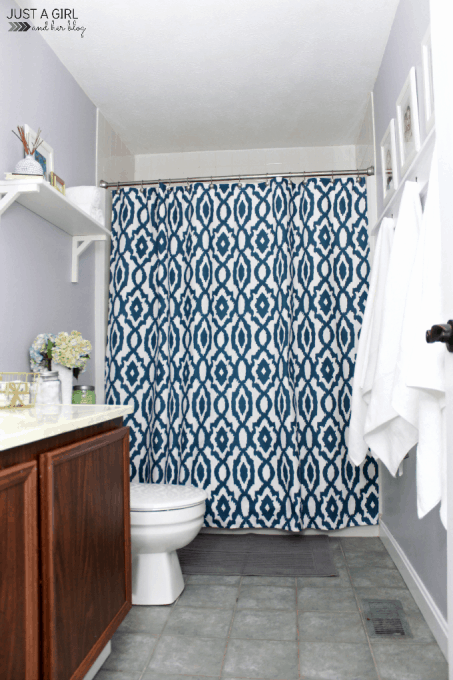 I have a dilemma and I would like to hear your opinion, I want to paint my kitchen cabinets white and I have these curtains from target that I love,(Threshold™ Basketweave Curtain Panel) I decided on the washed blue color because we have a pool right outside the kitchen, I thought blues would be really pretty. The dilemma? I don’t know what color for the walls! first I picked a light blue, but after asking friends their opinion, everyone picks a different color! I really would like to stay with a light color, so after I saw your kitchen, I am thinking a gray color? which one do you think it would look better with my curtains? I do love gray as a neutral! It is definitely my go-to. I think as long as you have some contrast between the curtains and the walls and they’re not the exact same color, you’ll be fine. Have fun with your project! Lovely home! I am in a crisis, please help!!. I got 5 gallons of Behr gray shimmer based on several chips and paint sample. I painted the sample in several spots and it looked wonderful. The painter came today and started painting (he is doing a fantastic job, btw). I didn’t get a chance to see it until about sunset time and I was shocked at how awful it looked. OK maybe I am a little upset right now and over reacting, but it looked very purple at a lot of places, almost white in some lighting and more blue at certain angles. There are several areas where it’s not painted yet and those areas are still white from the primer. I am not sure if comparing it to the white areas is making it look purple or if it is really purple. I don’t mind the blues as much but would still prefer “true” grey. We used Grey shimmer in bher marquee line, in eggshell sheen. Any suggestions? Fortunately the painter said he can complete the first coat with grey shimmer and can use a second color for the second coat to cover up gray shimmer. That will be 3 gallons of paint in the drains but I would rather have a color that I like at this point. Need to decide this asap . Suggestions? Ideas? Am I over reacting? Lol. I would appreciate if you can provide any feedback and also let me know if your walls have a purple tint to them. I found your blog when I googles gray shimmer and I am loving your blog! Thanks! Hi, Ravi! Gray Shimmer definitely pulls blue. It never really seemed purple in our house, but blue definitely. My favorite gray is Behr Marquee Silver City, and it is more of a true gray. Best of luck with your space! Thanks Abby. It looked really nice in the daylight this morning. Almost perfect. I guess I just have to live with it looking purple in my house, during sunset hours. 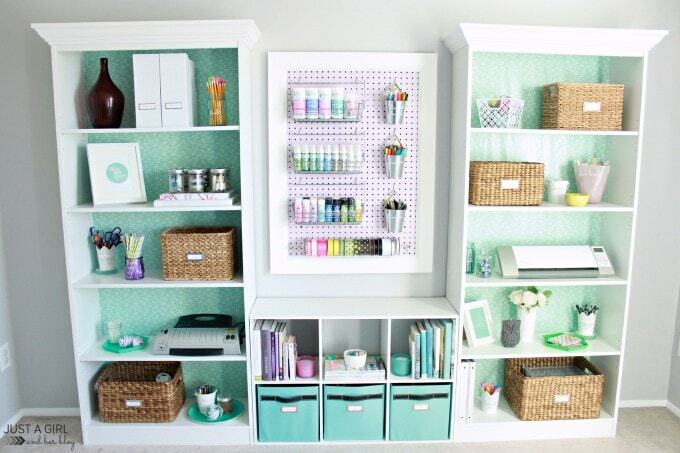 I like that the walls vary so much throughout the day and the way it pulls other colors. It looks absolutely stunning in my foyer where there is a huge skylight. I guess it’s worth it overall! Thanks for your response 🙂 have a great day! Cheers. I know I am late to the comments here but I stumbled upon this at the right time! Definitely going for marquee silver City but what sheen do you go with? (This will be on my kitchen wall next to white cabinets and exposed brick & !bright living room) I can’t tell if it’s the picture or the wall but it appears flat?? Thanks! Hi, Megan! I usually use eggshell when I paint the walls. Flat is hard to clean, so I would avoid that in the kitchen if possible. Hope you’re having a great day! Thank you for this blog. I just bought gray shimmer from Home Depot after walking in with my mind set on a different color. I got it home and painted a small area and wasn’t entirely sure how dark it was going to dry but it turned out to be just right. I wanted grey without the battle ship grey look. This color I believe will work out great and I’m glad I got to see it on your walls to be sure. Thanks again! HHI. I chanced upon your blog while looking to see if there exists a shimmery gray paint, the topic was very apropos and of course i read it and took notes. Behr Silver City might just fit the bill tyvm! We are building a bed/bathroom onto our house with handmade touches (sunken tub, barn doors of wood and stained glass, etc) and i’m thinking gray walls will be a nice background. Besides finding the right gray, I’m having a little dilemma over border tile in the bathroom. I really haven’t looked at the rest of your site yet, though both you and your home look lovely, but do you ever post pics and you and your readers comment/help make a decision? Thank you again, it’s good to have leads on the paint. Oh, if only there were more hours in the day! 🙂 I wish I had time to take on design consultations or projects, but it’s just not in the cards right now, unfortunately. There are a bunch of bloggers who offer design services, though, if that’s what you’re looking for. Nina from Nina Hendrick Design Co. (https://www.ninahendrick.com/) and Bre from Doucette Design Co. (http://www.doucettedesignco.com/) are two that come to mind! Hope you’re having a great week, Phyllis! We choose Benjamin Moore comfort gray for the living spaces in our home. I love the pull towards green and a little blue. This was a great post! Paints can be so tricky! Ooh that sounds like a gorgeous gray too! Hope you’re having a great week, Kati! Thank you! Thank you! Thank you! I was having a very hard time finding the right color for my bedroom walls. After two failed choices I searched the internet and found your blog. I went and bought a trial of Silver City and it is just the color I was looking for! You have saved me time and money! THANK YOU! Hey, Abby… just wanted to let you know that I featured your Silver City and this post on my blog today! Thank you for the ‘blanket’ permission! Hugs, sister!